Holi is the festival of colors, a day when you bury the hatchets of animosity & hatred, a day which you enjoy to your heart's content. 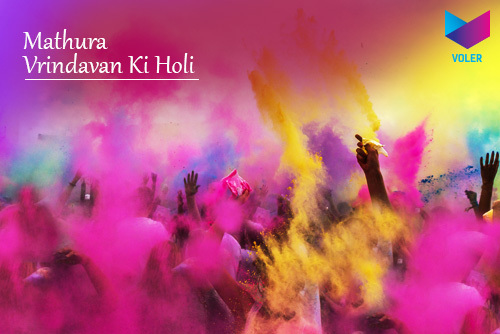 The charm and fun associated with the Holi has increased prolifically over the years. How it would be to celebrate this festival at a place that has a history concomitant with it, a place that echoes the joy. We are sharing the few iconic cities & places that you can plan to visit this year, and indulge in the true essence of fun & frolic. Unlike any urban city, women are the masters here, helming the day at their exhilarating energy and dynamism. 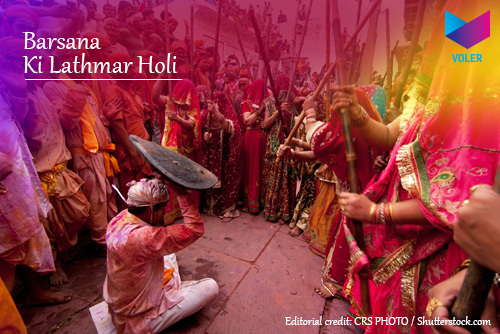 The Lathmar Holi of Barsana in Uttar Pradesh grabs the attention. The women here, dictate and give the men a run for their lives. As much as for the local people, the place also floods with visitors from all over the country to witness the much illustrious festival, and rightfully so. Have you booked a ride to Barsana as yet? If no, do it right away. A lot of ancient stories are associated with how Lord Krisha used to play Holi with the 'Gopis'. Vrindavan, being the home to the Lord, holds a special place in the context of this festival. Here, Holi is celebrated in the most traditional way, especially at the Banke Bihari Temple, Nandgaon. Easily accessible at a distance of 180 odd kilometres, this place is a must go for people residing in and around Delhi. Vrindavan has a prolific charm to it which multiplies manifold. 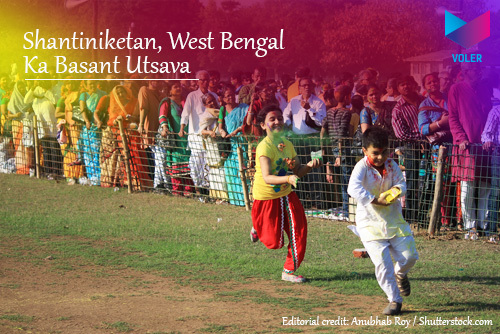 Locally known as 'Basant utsava' or 'Spring Festival', the fervor oozing out on the day of Holi in Shantiniketan so very enchanting. It was introduced by the famous poet Sir Rabindranath Tagore, revered in Bengal as Thakur and has remained a tradition in West Bengal ever since then. It is celebrated with great relish and verve. People dress up in bright colors and boast of their cultural richness of love and harmony. An easy drive away for the people located in Kolkata and around the vicinity. Sikhs exhibit their valor and invincibility in the way the celebrate festivals too. They differ from the rest of the country in celebrating the festival of Holi which is also known as Holla Mohalla in Punjab. The day is filled with extreme levels of excitement endowed in the depiction of martial arts, horse riding, and adventure sports. The excitement and zeal culminate into a gentle version of love and affection as the evening approaches. It is then followed by lip-smacking assortments of locally made ghujias, halwa, and lassi. 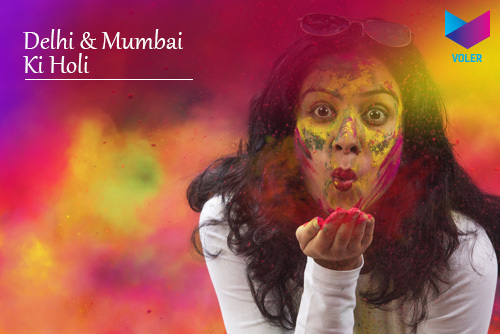 For those who crave a little more of fun and enthusiasm, this place should top their list this Holi. These Metropolitans do not have anecdotes or tales vis-a-vis Holi Celebration. Still, they do host an amalgamation of various cultures and traditions owing to the migration of people from different part of the country, bringing with them the cultural legacy of the region. 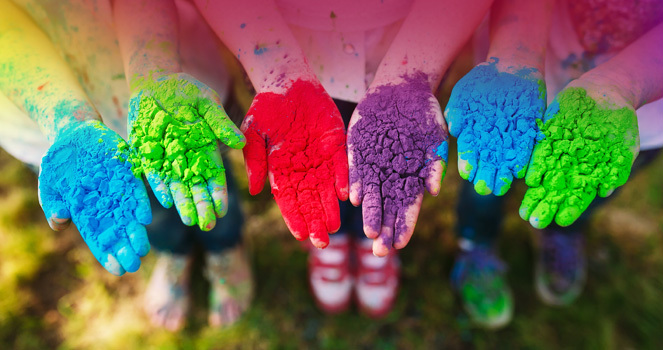 The commonality to both these cities is the exorbitant levels of zest and vigor bestowed by the youth on Holi, which makes it a treat to watch. The splash of myriad shades on the streets has conferred it the most promising destination tag to celebrate the festival. This is essentially a six-day festival starting on a full moon day in Phagun month and ends on the day of Holi every year. The streets of Manipur on the day of Holi offer unique sight to behold. The traditional moonlight dance also known as 'Thabal Chongba' by the localites, followed by mouth-watering delicacies and grand feasts makes for a quintessential Yaoshang festival of Manipur. 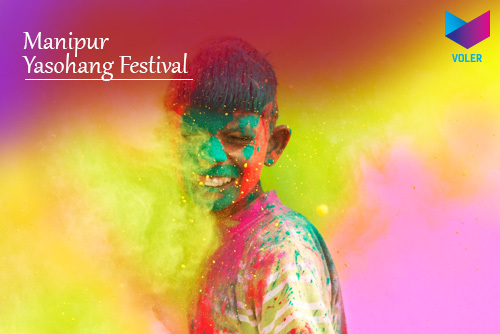 It is a little far off destination for urbanites, but if you plan well in advance, this could be one of the best Holi experiences you would have. Call the best car rental service in the area and hire a ride! 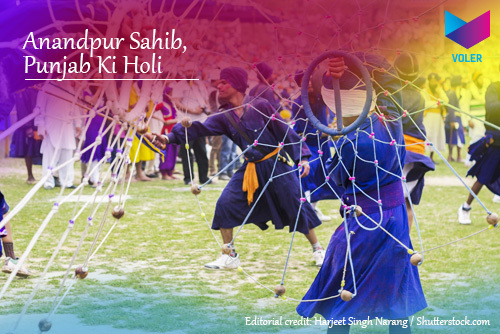 If you got a different story about the locally celebrated account of Holi, do write to us and add to the repertoire of our travel stories. We would be happy to share your experiences with our readers. Type in the comment box below.